Shared decision-making has received national and international interest by providers, educators, researchers, and policy makers. The literature on shared decision-making is extensive, dealing with the individual components of shared decision-making rather than a comprehensive process. This view of shared decision-making leaves healthcare providers to wonder how to integrate shared decision-making into practice. To understand shared decision-making as a comprehensive process from the perspective of the patient and provider in all healthcare settings. An integrative review was conducted applying a systematic approach involving a literature search, data evaluation, and data analysis. The search included articles from PubMed, CINAHL, the Cochrane Central Register of Controlled Trials, and PsycINFO from 1970 through 2016. Articles included quantitative experimental and non-experimental designs, qualitative, and theoretical articles about shared decision-making between all healthcare providers and patients in all healthcare settings. Fifty-two papers were included in this integrative review. Three categories emerged from the synthesis: (a) communication/ relationship building; (b) working towards a shared decision; and (c) action for shared decision-making. Each major theme contained sub-themes represented in the proposed visual representation for shared decision-making. A comprehensive understanding of shared decision-making between the nurse and the patient was identified. A visual representation offers a guide that depicts shared decision-making as a process taking place during a healthcare encounter with implications for the continuation of shared decisions over time offering patients an opportunity to return to the nurse for reconsiderations of past shared decisions. 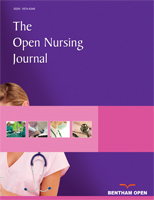 Keywords: Shared decision-making, Nurse-patient relationship, Reflection, Communication, Integrative review, Practice model. © 2018 Truglio-Londrigan and Slyer.